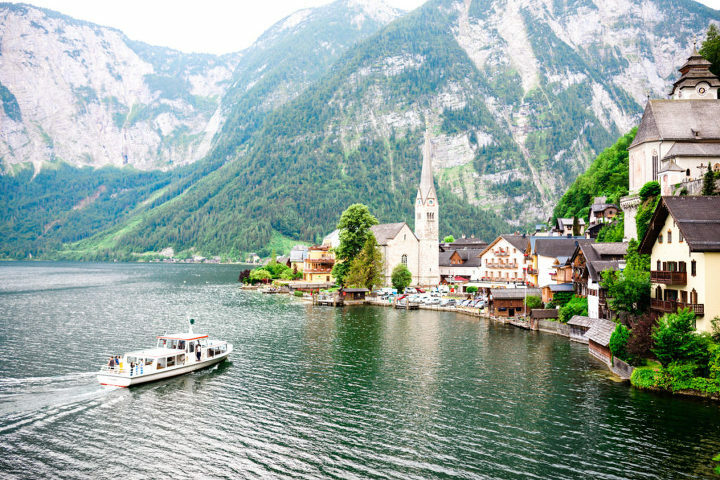 Put on your comfy shoes and a photo-op-worthy outfit – we’re going to explore Hallstatt, Austria! Even if you’re not a morning person, you’ll want to get up early for this enchanting fairytale town. We drove a rental car from Salzburg into Hallstatt, which took about an hour. Sandwiched between a lake and mountains (you could even say that it hugs the lake), Hallstatt is really the perfect little European town you always imagined. The view driving in: just jaw-dropping. I could have sat and stared at that backdrop all day, week, month, year! I can see why Hallstatt easily became a favorite tourist destination AND a UNESCO World Heritage site. By now you’ll realize that you don’t actually have to do anything in Hallstatt to have an enjoyable time. Just walking along the water, looking up at the pastel houses and all their idyllic flowerboxes, and browsing the souvenir shops in the market square is a great way to spend a leisurely day. Hallstatt is really small (under 1 KM!) so this is one destination I recommend that you slow your roll and don’t rush through. Unfortunately for us, we only got to stay for half a day and this was definitely not enough time to soak up all of Hallstatt’s slow beauty. Take your time, stay at least two days, and soak it all in! 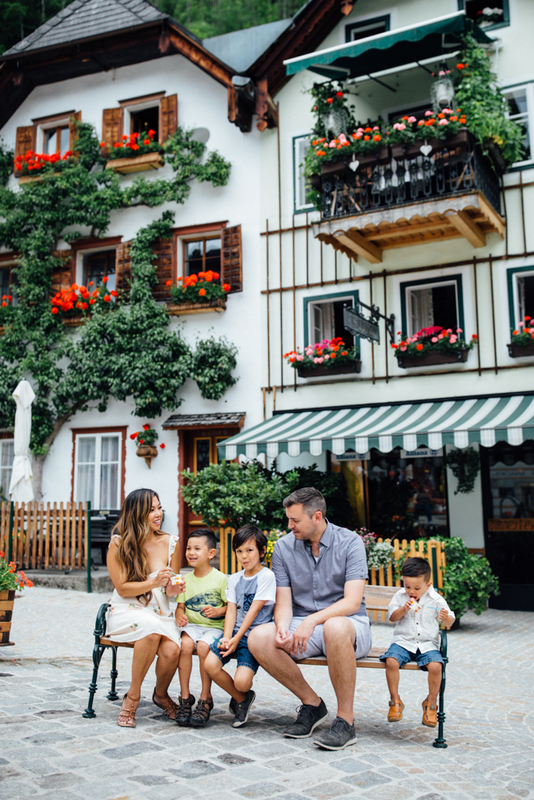 We hired a local photographer, Carolin, for a family shoot in Halstatt. She walked us through the best local spots we would have never thought to visit. Fun fact: Carolin told us there’s a replica of Hallstatt in China somewhere, which explains why there were so many Asian tourists here! Besides the main strip, she walked us up the hill by the church and cemetery. Her MIL has a tombstone in front of the church, which you have to be VERY well connected to be buried here. p.s. Huge thank you to my photographer friend, Aline, back home in Chicago! Aline grew up in Austria and gave me so many pointers when planning for this trip. I couldn’t have done it without her!